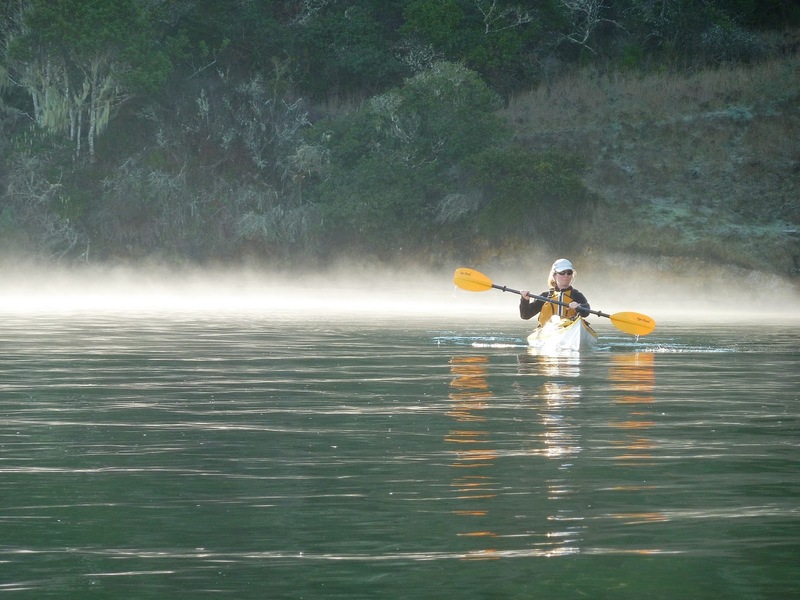 INVERNESS – Kayakers can only worry as favorite rivers and lakes shrink during an unseasonably warm, dry winter in Northern California. But on the coast, similar weather has made for spectacular paddling. 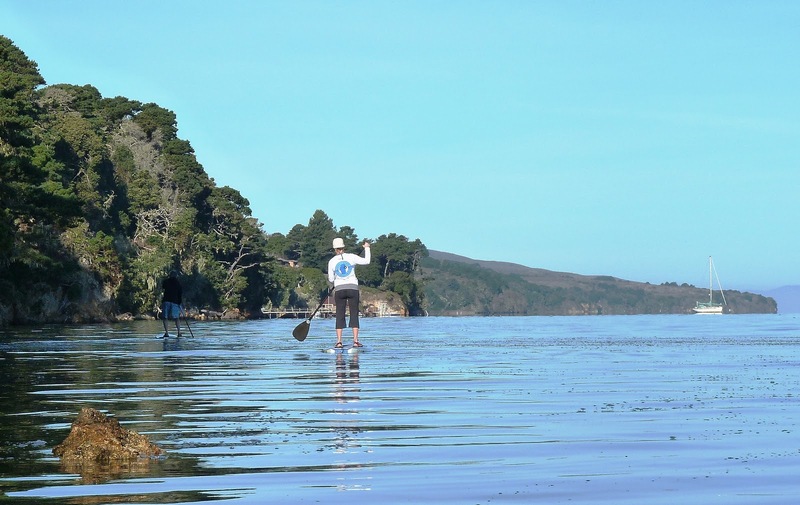 On a recent Saturday morning, Tomales Bay looked more lake-like than estuary, with flat water under a clear sky. And the North Coast’s famous fog was reduced to a few photogenic wisps as temps climbed into the 60s. Winter offers some great kayaking days here, if you pick your spots. And a bit of luck doesn't hurt, as was the case on this NorCal Yak trip. In fact, there were several lucky breaks in what turned out to be a memorable weekend, kayaking and otherwise. 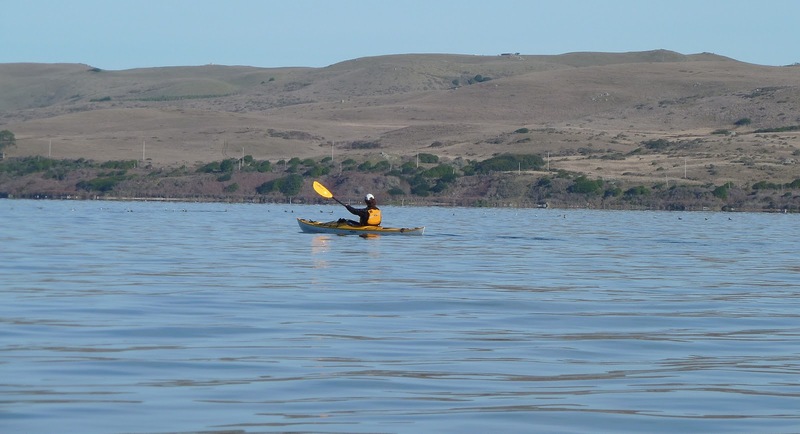 It also turned out to be a much different experience than another paddle that began on the eastern side of Tomales Bay. That trip was marked by strong tide and even stronger winds. This latest paddle – on the sheltered western side, further back from the mouth of the bay – proved more relaxing and scenic. Plus, the drive over takes you through Pt. Reyes Station, one nice little town. 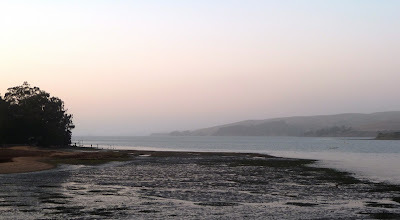 We launched from a concrete ramp at the Tomales Bay Resort near Inverness. The previous evening, under a misty full moon, the resort’s small marina resembled a hog wallow with a dozen sailboats tipped at odd angles in the muck. But a five-foot-plus flood tide works wonders. Turned out to be the best high tide at a decent hour on a Saturday morning in weeks. By 10 a.m. we were paddling north, over what had been mostly mudflats a few hours earlier. The paddle to Heart’s Desire Beach (another potential yak launch point) and a bit beyond was a leisurely, three-hour, nine-mile roundtrip that went by much too quickly. At fairly regular intervals, seal heads popped up around us like whiskered buoys. White egrets and blue herons glided above. At one point, a pair of magnificent bald eagles appeared in a stand of conifers above a cliff. That’s pretty rare, according to one local, so we were lucky again. Mostly, NorCal Yak pals Frank, Lisa and I paddled in quiet reverence. Morning sun carved shafts through trees that hung heavy with Spanish moss and a fine salt mist added sparkle to air and lungs. 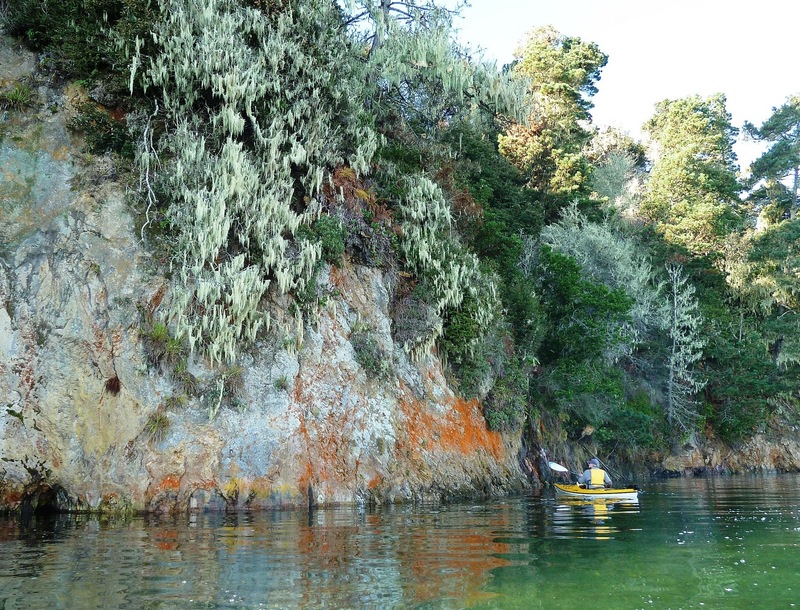 In one place, brilliant orange lichen coated rocky cliff. The total effect was both weird and beautiful, the “weird” underscored by a strange, burping sound from small swells that pushed water in and out of tide-worn pockets in the shoreline. A natural rhythm section set to the bay’s own brand of music. When it comes to music, this blogger must "break" into song, because he’ll never find the right key. But who could turn down an invite to join a dozen or so musicians in a 100-year-old redwood cabin high above Tomales Bay? 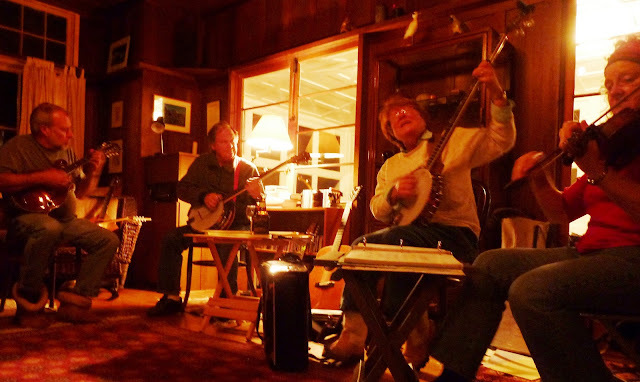 Fiddles, banjos, guitars, mandolins and hours of music, both elegant and accessible, even to my unsophisticated ear. A wonderful evening to cap a wonderful day of paddling, and thanks to NorCal Yak pals Melissa and Toby. If you can stay for a weekend, Pt. Reyes Station is a fun place to wander around. 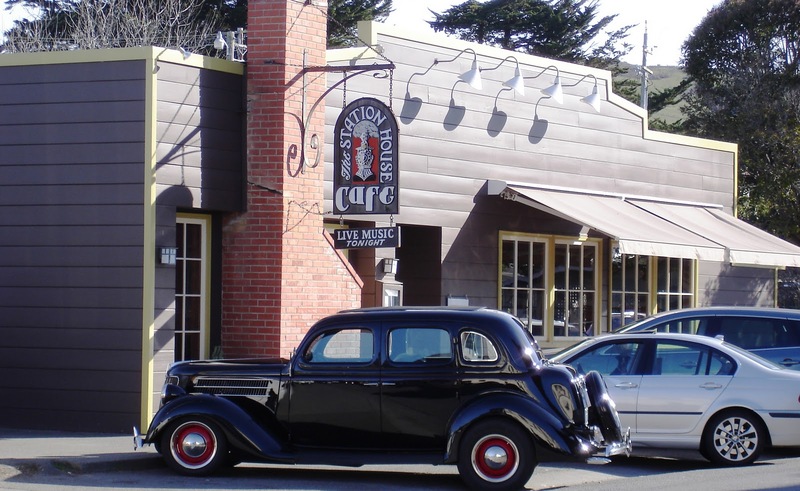 No chain motels (thank goodness) on Tomales Bay, but easy to Google in advance for a variety of accommodations. Even in the off-season, weekend reservations are a good idea. And here’s a special shout-out to NorCal Yak pals Denise and Cassandra, who run the desk at the Tomales Bay Resort. Our room was clean and quiet, and their customer service was first-rate. (Note, however, that the resort restaurant was closed as of this writing, although it's still listed on the Web site.) The motel also offers a concrete launch ramp for guests with kayaks. Plus, Blue Water Kayaking, a longtime outfitter, is right next door with rental boats and tour packages. 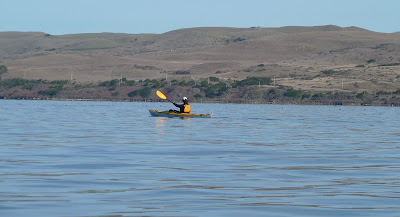 NorCal Yak knows of at least two recent incidents in which kayakers almost lost their lives on Tomales Bay because they failed to heed wind, waves, and tide. 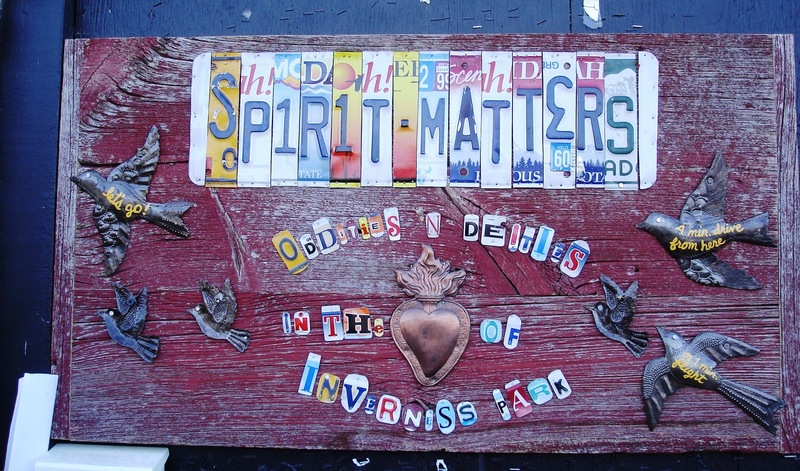 (Here's a local news audio clip.) On our trip, we saw a paddle boarding couple who weren’t wearing cold water apparel or even PFDs. They may have enjoyed the luckiest time of all, and they didn’t even know it.